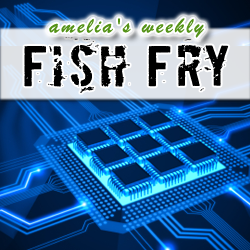 In this week’s Fish Fry, we investigate the recent formation of the Heterogeneous System Architecture (HSA) foundation and check out how it may or may not save us from a bunch of processor-related hassle in the future. Speaking of processors, I interview John Heinlein, Ph.D (ARM) about the newest developments with the big.LITTLE architecture, processor optimization packs, and how refreshing old nodes can be easier than you expect. Also this week, I’m giving away an XMEGA-A3BU Xplained kit (courtesy of Atmel) but you’ll have to tune in to find out how to win. Paul Kocher, President – Cryptography Research Inc.